Have a POS system tailored to your needs that takes advantage of the advanced features of the Future POS software like, fingerprint recognition, for timekeeping and manager functions, frequent diner, gift card, customer reservations/charge accounts and billing, item count-down, real time reporting on items, and split screen modifiers, and assign name to bar tabs, ability to split an item between several checks, website order, full back room with custom reports. Fusion now runs Microsoft SQL database. 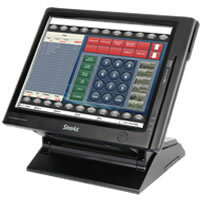 15" color touch screen, Reliable ROM based operating system with self-healing network, on screen table management, assign name to bar tabs, assign address to checks for take-out, server transfer, combine check and split check by seat or item, item count-down, roll-up pricing, and custom spell-it modifiers for printers. 12.1" color touch screen, Reliable ROM based operating system, pop up modifier windows, roll up pricing, transfer check and split check functions, expandable memory, kitchen video, graphic logo printing, six 232 ports standard, and program backup via SD memory card. Featuring a hybrid design, SPS500 series has combined fast and simple ECR keyboard entry with an intuitive 7" touch screen operator display. 160 Key Spill-resistant flat keyboard, 60,000 maximum item capacity with full memory, PCI complaint credit card option. 2 line operator display, 150 key keyboard, fast thermal printer with simple drop in paper loading, separate receipt and journal, max 3500 items, two RS-232 ports for connecting printers, scales, or other peripherals, stand alone register. 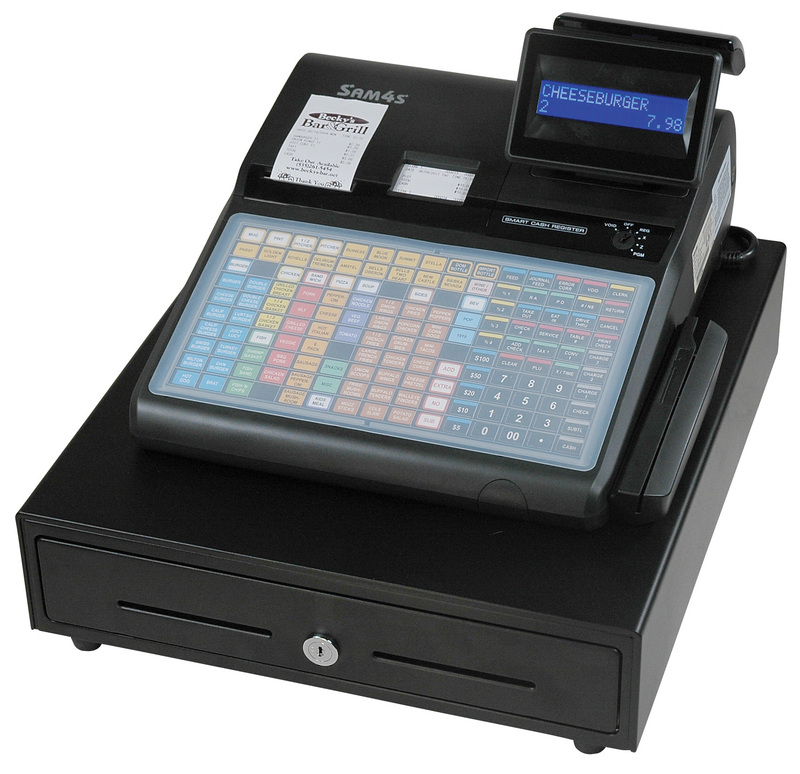 All in one system for retail featuring large operator display, 160 key keyboard, fast thermal printer with simple drop in loading, separate receipt and journal, multi-register capability, 20,000 item capacity. 90 Position Spill-Resistant Keyboard, Two RS-232C Ports, Drop-In Paper Loading, Graphic Logo Printing, 2-Line, Backlit Display, Optional Internal Magnetic Card Reader, Electronic Journal, 500 PLUs; 60 PLU Category Keys.